There are few things nicer than picking your own fresh tomatoes in summer. The flavour of tomatoes ripened in the warm sunshine is far superior to supermarket fruits and growing your own means you can choose the varieties you like. Tomatoes can be grown in many ways depending on the space and facilities you have. For an early crop, a greenhouse or polytunnel is ideal, but they can also be grown outside in pots in a warm, sunny position and where space is limited, there are several varieties that are suitable for growing in hanging baskets. Care of tomatoes is fairly easy through the summer months and the main thing is to keep the plants constantly moist at the roots and fed with a high potash fertiliser when the fruits are developing and ripening. Bush and basket varieties need no pinching out, but tomatoes being grown as a single stem, or cordon need to have side-shoots pinched out to maintain the single stem. 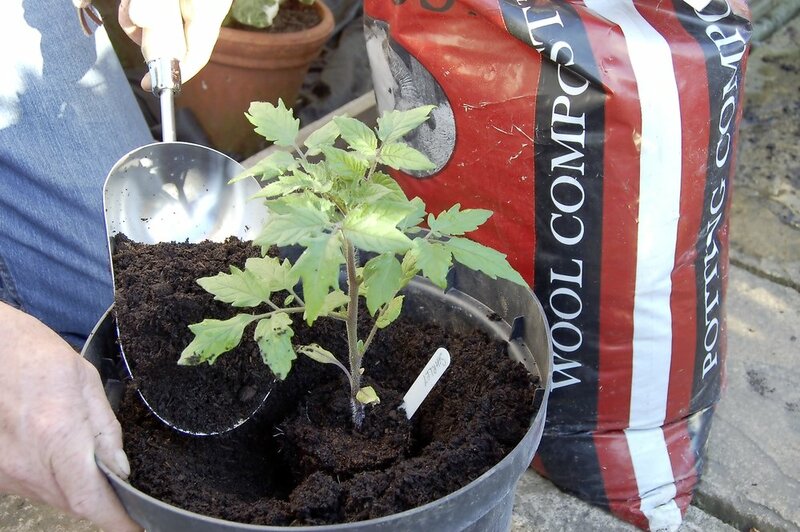 By now tomatoes being grown under cover should be making good growth and setting fruit, but there is still time to plant young plants in containers for growing outside over summer. The outdoor crop will probably be smaller, but the taste of their fruits as they ripen in late summer is just as good.